Seems like a good time to stop telling ourselves that old story of how it’s all supposed to turn out. And you get to choose how to walk the path to get there. You get to decide how to deal with your feelings of insecurity, inadequacy, loneliness and frustration. You also get to decide how to share your feelings of gratitude, energy, joy and fulfillment. Feeling those feelings, tossing around in the messy middle between the poles of jubilation and desperation, is precisely how you know you are on your own crooked path. 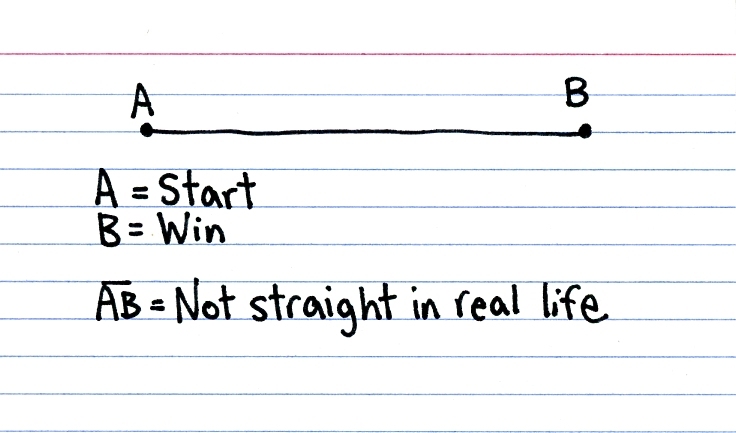 If you’re still playing you’ve already won. Now that that’s out of the way, what are you going to do about it? Reblogged this on Bruce E. Hoffman.